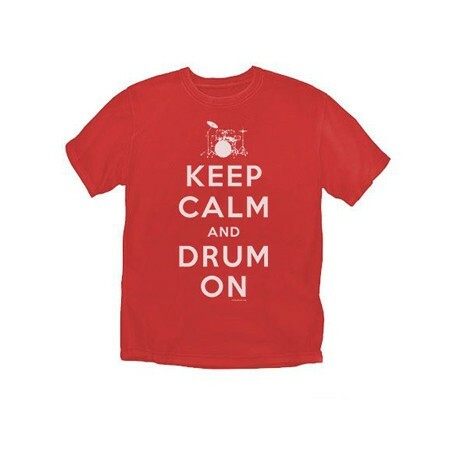 Keep Calm and Drum On T-Shirt – Based off of the popular “Keep Calm and Carry On” posters, this saying quickly took off as an internet meme taking the phrase and spinning it off into many hilarious sayings with something completely different. Of course the drum memes are our favorites. Younger drummers especially will love this one as memes are wildly popular now on the internet. Professionally screen-printed 100% cotton, pre-shrunk t-shirt. Available in SM, MD, LG, XL, and XXL is $2 more.